Britain will hold a referendum on whether to stay in the EU by the end of 2017, David Cameron promised on Wednesday (23 January) in a long-delayed speech on Britain's status in Europe. Delivering the speech in London, Cameron promised to re-negotiate Britain's EU membership terms followed by a public vote if his Conservative party, which is currently in coalition with the pro-EU Liberal Democrats, wins the next election, expected in 2015. 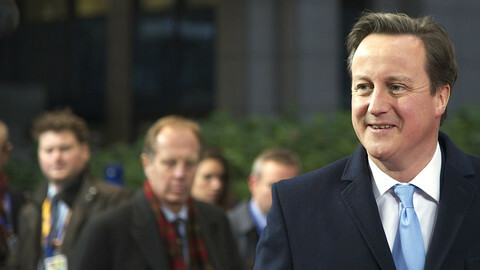 Quizzed by reporters on whether a referendum would be a condition of any future coalition agreements, Cameron replied: "If I am Prime Minister, this will happen". 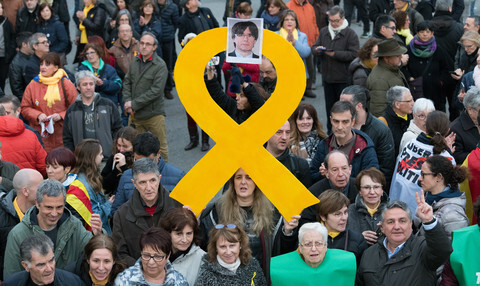 Legislation for a public vote would be pushed through Parliament within a year of the next election, with the poll taking place "in the first half of the next Parliament." Although he refused to be drawn on specific EU powers to be targeted for repatriation to the Westminster parliament, Cameron said he would consider environmental and social policy legislation as well as criminal law. 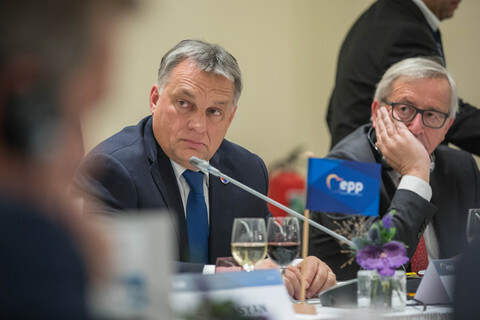 He also voiced support for greater involvement of national parliaments in EU lawmaking, describing them as the "true source of real democratic legitimacy and accountability in the EU." In a nod to the controversial working time directive, which caps the average working hours in many sectors including health care, he said it is "neither right nor necessary to claim that the integrity of the single market, or full membership of the European Union requires the working hours of British hospital doctors to be set in Brussels irrespective of the views of British parliamentarians and practitioners." Re-writing Britain's membership terms would require the support of the 26 other EU countries, many of which are unwilling to open up the EU treaties. While the speech was quickly welcomed by many eurosceptics, Cameron reiterated his support for Britain remaining in the EU and warned critics that a No vote taking Britain out of the 27-country bloc would be "a one-way ticket, not a return." "Britain's national interest is best served in a flexible, adaptable and open European Union and that such a European Union is best with Britain in it," he said, telling reporters that he would "campaign ... with my heart and soul" for a Yes vote on the new UK-EU settlement. Noting that "public disillusionment with the EU is at an all time high" in Britain, Cameron insisted that it is "time to settle this European question in British politics ... People feel that the EU is heading in a direction that they never signed up to. They resent the interference in our national life by what they see as unnecessary rules and regulation. And they wonder what the point of it all is." Britain last held a referendum on whether to remain in the then EEC in 1975, voting by a two thirds majority in favour of membership. 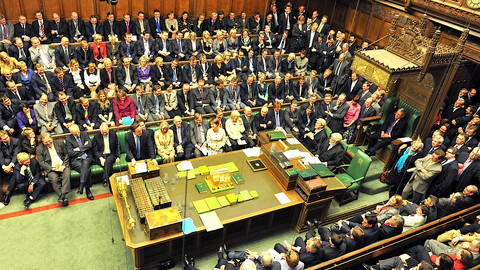 In 2011, it adopted legislation guaranteeing a referendum on any future transfer of national powers to the EU. 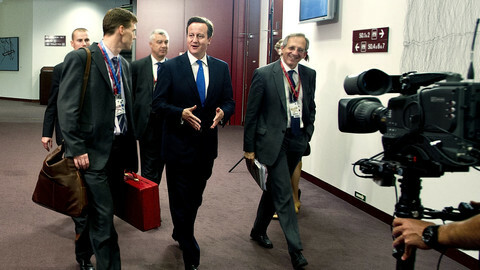 However, Cameron has come under pressure to call a public vote on Europe from eurosceptics within his party. The Conservarives are alarmed by a sharp rise in support for the anti-EU UK Independence party, which has touched 10 percent in recent opinion polls and which threatens to poach Tory voters in the next elections. The opposition Labour party has refused to match Cameron's pledge, with foreign affairs spokesman Douglas Alexander saying that Cameron's "vague roadmap" will create more uncertainty for businesses. 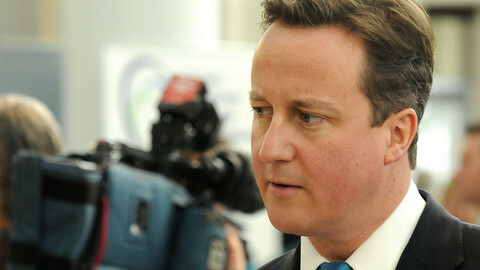 He added that Cameron had become "a victim of the Conservative party." For his part, Richard Ashworth, the leader of the Conservative MEPs in Brussels, said Cameron had "a very positive message to the rest of Europe," adding that it is right for Britain to "remain right at the heart of Europe, but not at any price." Former cabinet minister and EU trade commissioner Peter Mandelson labelled the speech as "schizophrenic," noting that the rest of Europe "do not regard the EU as a cafeteria service where you bring your own tray and leave with what you want." 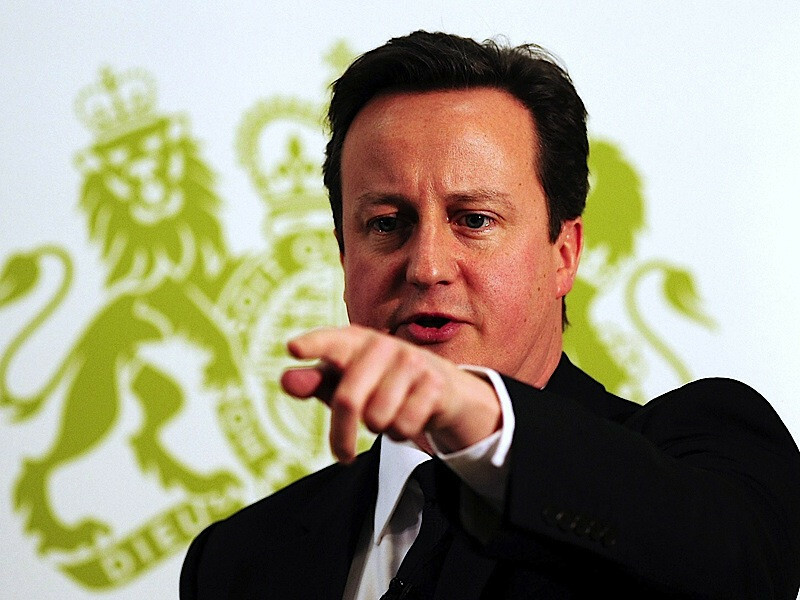 Meanwhile, Ukip leader Nigel Farage said that the speech is an attempt by Cameron to "get Ukip off his back." "If Mr Cameron was really serious about renegotiation, then he would invoke Article 50 of the Lisbon Treaty, which is the only mechanism that exists within the treaties to take powers back," he said. 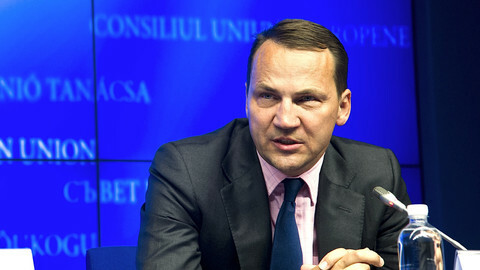 Britain has lost its place in the club of leading EU nations over its plan to hold a referendum on EU membership, the Polish foreign minister has said. 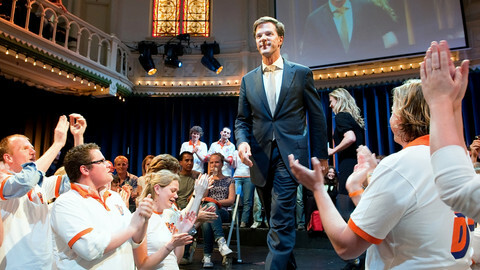 The EU should have legal mechanisms for countries to leave the euro, says Dutch Prime Minister Mark Rutte.